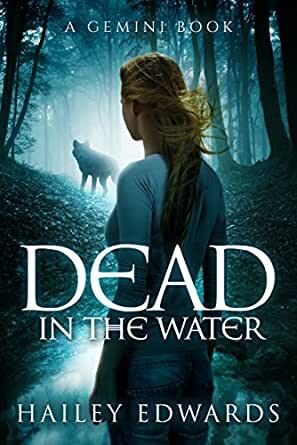 Dead in the Water (Gemini Book 1) - Kindle edition by Hailey Edwards. Paranormal Romance Kindle eBooks @ Amazon.com. It’s hard to rate this book because I liked it but it had issues as well. The premises were great but I felt like the story lacked the intensity to really draw the reader in. Cam had her weak moments but I still found her quite emotionless. It was hard to relate to her. Still she had a good head on her shoulders and didn’t swoon over the warg (which btw I had to look up what it meant). The story had no ending which made me a bit frustrated. 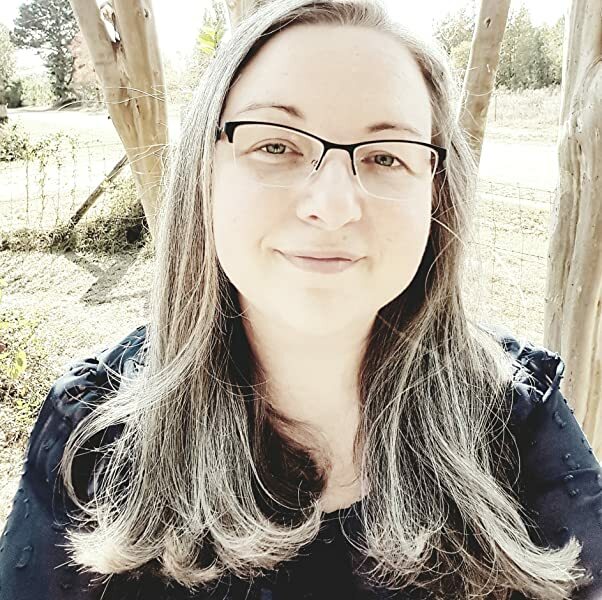 DEAD IN THE WATER is the first installment in author Hailey Edwards Gemini series. DEAD IN THE WATER is set in the same universe as the Black Dog series which means that there are several characters who will make an appearance. While some have recommended that you read Thierry Thackeray's series first, I truly believe that you can get through these first three books in the Gemini series without having to go back and reading Thierry's story. The first three books of the Gemini series (there are 6) follows Protagonist Camille Ellis. Camille is an Agent for The Earthen Conclave. She is the Conclaves go to person when it comes to solving cases quickly, and efficiently. Cam has the ability to read magical signatures. This talent is why the Conclave relies so heavily on her. But, she also has deep scars that lurk just under her skin and deep in her psyche. Scars that go back to when her identical twin sister Lori drowned and she couldn't save her. Cam has been trying to atone for her sister’s death for years, and also the hurt of being abandoned by her own family. Cam is a loner by nature, but this case will bring her into the company of a diverse cast of characters. Speaking of....after his sister is murdered, Cord Graeson, who is the Beta of the Georgia Warg Pack (think werewolf), hounds Camille and refuses to be ignored until the villain is destroyed. Camille and Cord's relationship is anything but a smooth one, but that's because they are both strong willed, and can more than hold her own against anyone. Cord's fellow pack mate is Dell Preston. Dell is also a key player in this story, and will later have her own series. The most curious character Cam meets is Harlow Bevans. Harlow is a 16-year old Mermaid and a consultant working on the Charybdis case. Harlow is probably Camille's first true friend and one that she will do anything to protect. If you followed this review to the ending, Thank you! I have listed the authors series & how they are supposed to be followed in order. I do have the first book in the Black Dog series, and since the author has decided to interject Thierry into this series as an important cog, I'll be going back to the beginning and see how it all began. There is a heart thumping ending to this book. As a side note, I have already read all three books in Cam's trilogy, and will be writing reviews for the next two in the coming weeks. Hope you check them out! I actually paid for this book, more than.99 cents, because the sample sucked me in. However, I was disappointed in the lackluster main character who not only was idiotic in jumping into situations she didn't have the skill set for, but who gave no reason for anyone to like her let alone fall in love with her. When I arrived at the end of the story only to find a cliff hanger, I felt cheated. It appeared I had bought half of a book instead of the whole thing. These issues were upseting and I won't be sucked in again. What a waste. This series is an offshoot or continuation of the Black Dog series and must be read after it. The first book is Dog With A Bone. The second book is Dog Days Of Summer. The third book is Heir Of The Dog. The fourth book is Lie Down With Dogs. The fifth book is Old Dog, New Tricks. Stone Cold Fox also precedes this series and must be read first. All the books set in this world seem to be connected and in chronological order. This is the first book in this series. I can't wait to read Head Above Water! Ever since her identical twin Lori drowned in the ocean Camille has been terrified of water. That's why investigating these deaths is her own special torture. Girls Lori's age are being killed, drowned, and Cam has to stop it! Otherwise why would she have survived her twin's death when that never happens? There must be a purpose for her living beyond Lori. Camille's special talent to read magical signatures has made her indispensable to the investigation. The victims have all been young female fae (or at least magical). Why is this killer targeting these girls? Why does it keep making her think of Lori's drowning? They never found her body, and they always find these, almost like clockwork. What is he getting from the deaths? Can they ever figure out a pattern in time to catch this killer? Or will she keep finding young magical girls dead at his hands? What is he? 5.0 out of 5 starsI liked it enough I started the next one immediately! Cam is a fae working as an investigator for the Earthen Conclave. She has a couple of unique talents, one of which is that she has insight into people's magical signatures with just a touch. Her current case involves a serial killer who is drowning his victims across multiple states. The most recent victim is a warg who was the sister of a pack beta named Cord. Cord is determined avenge his sister's death and inserts himself into the investigation. Cam, Cord and Harlow, a teenage mermaid on her rumspringa, are determined to find the killer, despite the fact that they each have their own secrets and motivations for working the case. In addition, Cam slowly realizes that she may not be able to trust her employers, which cuts her off from significant investigative resources. I enjoyed the book enough to buy the next in the series, which I don’t do very often. The book doesn't end in a cliff hanger, but there are still unanswered questions that I hope are resolved in book two. Plus, I liked the interaction between Cam and Cord and I want to see where it goes.